We know the Standard Model can’t be everything, as it only explains 3 of the fundamental forces of nature (the missing one being gravity). 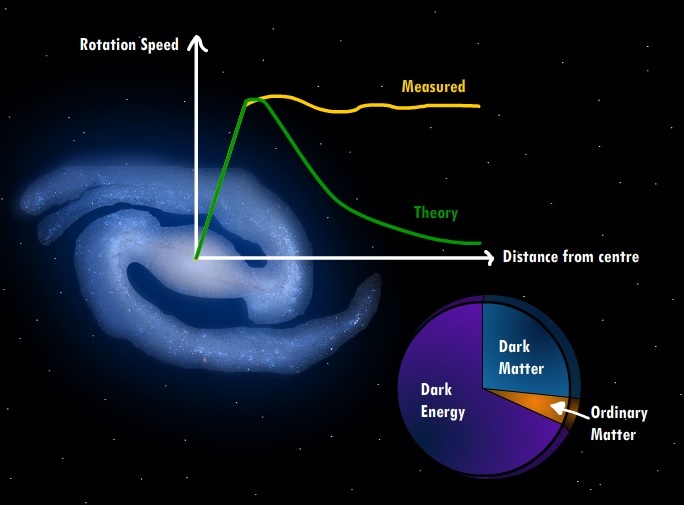 When we look out into the universe, we see that galaxies are spinning at the wrong speeds, that things that should be unstable are stable and that galactic clusters are bending light more than they should. This is strong evidence for a new form of matter that doesn’t interact with light – so called dark matter. And if that isn’t crazy enough, the universe seems to be getting bigger at a faster rate (imagine throwing a ball in the air and it shooting upwards with ever increasing speed, totally counter intuitive). This is caused by something we call dark energy, which is a mysterious substance now believed to make up the vast majority of the energy content of our universe. As to what it actually is, we still don’t know. One potential explanation of dark matter is that there is a whole new collection of super-heavy particles that we haven’t seen yet – the so called theory of supersymmetry. If we find evidence of such particles in particle colliders, it could even help us pave the way towards understanding if string theory is correct or not! A recurring theme throughout our story was how things that once seemed disconnected are actually part of a deeper underlying truth, so it’s natural to wonder if one day we could unify all the fundamental forces into a single explanation – a theory of everything. The Large Hadron Collider may finally be the window to open our eyes to such new and exciting possibilities. One thing is clear though: we stand on the precipice of perhaps the greatest change in our understanding of the universe – and the Higgs boson might just be the key to unlocking it all. This all changed in 1964, when Murray Gell-Mann and George Zweig proposed that most of the particles observed could be built out of just three fundamental building blocks called quarks. Think of it like having 3 different types of Lego bricks – the particle zoo is then all the combinations you can build with those bricks. The three quarks were called: up, down and strange. At first, it wasn’t clear if they were just a nice way to understand the patterns, or if they were real physical objects, but over the following 10 years their existence was confirmed. In the mid-1970s, a new theory was formulated to explain the fundamental building blocks of nature and the forces that affect them – the Standard Model of Particle Physics. Particles made of quarks are called hadrons (the most famous is the proton, made of two up quarks and one down quark). In addition to the quarks, there are particles called leptons (the electron is a familiar example), which differ from quarks in that they aren’t affected by the strong force. 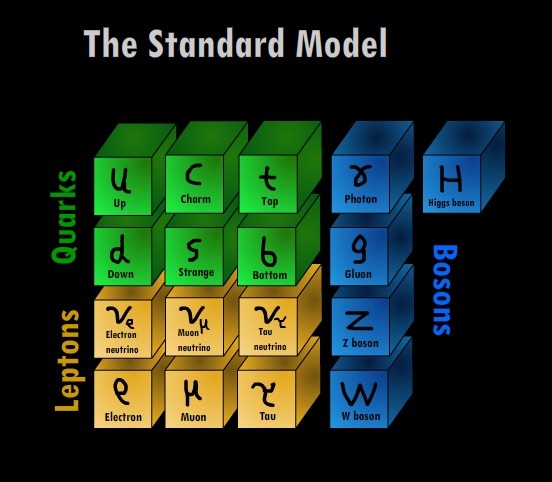 The Standard Model also explained that the fundamental forces are caused by the exchange of tiny particles we call bosons. 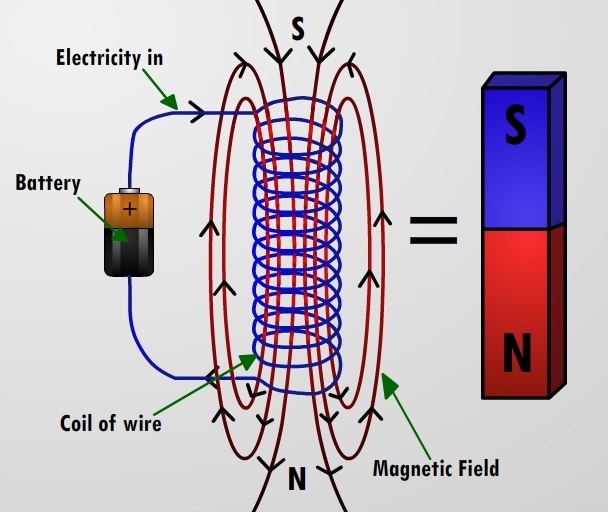 Electromagnetism is caused by photons; the strong force is caused by gluons (which ‘glue’ the nucleus together), and the weak force is caused by the W and Z particles. Over the following decades, 3 more quarks were discovered, the last being the top quark in 1995. The quarks and leptons seem to fit neatly into 3 ‘generations’ (the columns above), but we still do not know why. 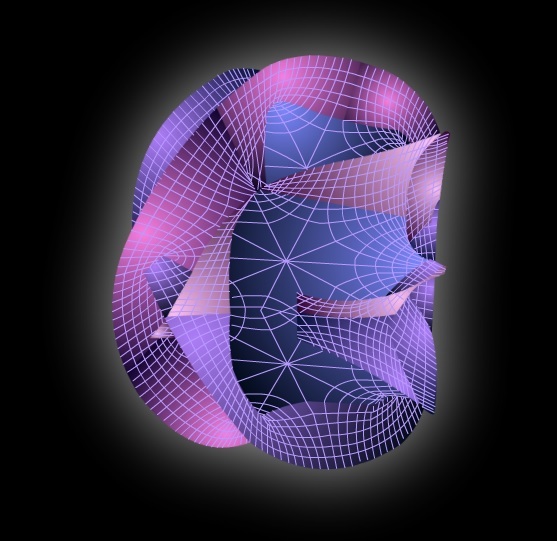 Could this structure be suggestive of a deeper theory, just like with the periodic table? 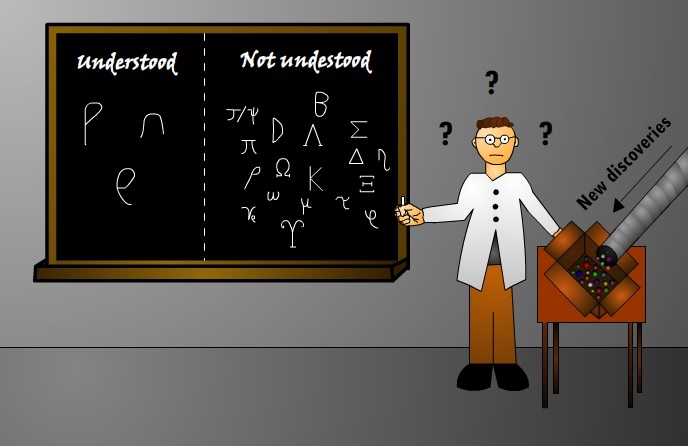 Introduction to Particle Physics Part 2: What holds the world together? How many forces can you think of? At school you might have heard about pushing, pulling, lift, drag, friction and perhaps the more exotic electric and magnetic forces. But what if I told you that all of these were the same? In fact, everything we see and experience in our day to day lives, except for gravity, can be attributed to a single force of nature – electromagnetism. In the early 1800s, a number of ground-breaking experiments carried out by people such as Michael Faraday discovered that electricity could make magnetism, and – incredibly important for our modern world – magnetism could be used to make electricity. In 1861, a brilliant Physicist called James Clerk Maxwell unified the two forces together, and in doing so explained that light itself is nothing more than a dancing intertwined mixture of changing electric and magnetic fields. When we push on a wall, the electrons in our hands repel the electrons in the wall – creating the force we feel. All of Chemistry, Biology, even life itself, were understood to be due to a single force of nature. This was one of the greatest triumphs in Physics; the first theory of almost everything. But all was not well with just electromagnetism and gravity alone, can you guess why? 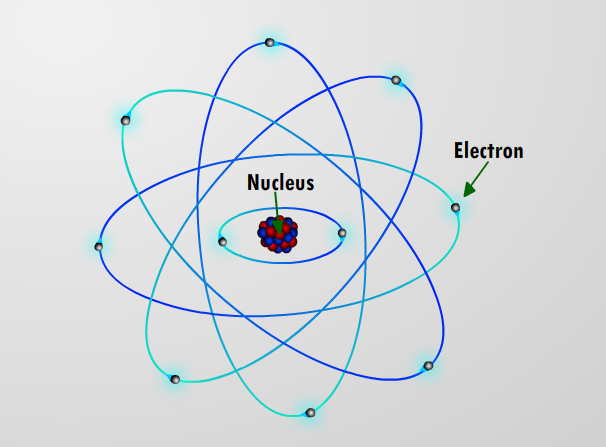 If we examine the nucleus of any atom, then we see a mixture of positively charged and neutral particles. But wait, if positive charges repel then why don’t they fly away from each other? This thought baffled physicists for decades, leading to the proposal of an entirely new force of nature: the strong force. When we say strong, we mean really strong: the force between just two protons is enough to hold the entire weight of a small child! 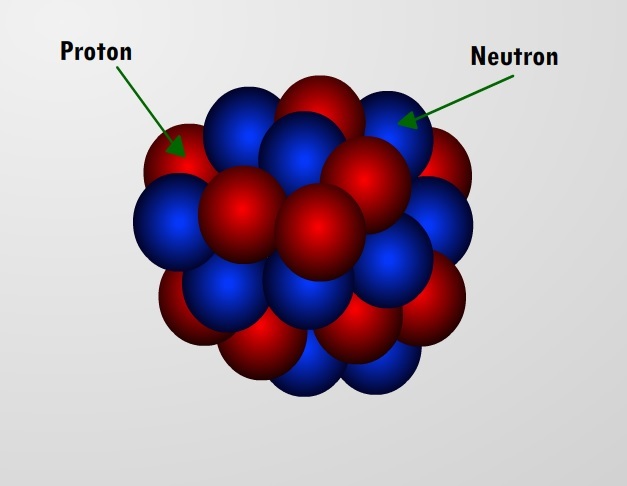 An atomic nucleus – everyone knows protons are red, right? Excellent, reality is complete once again! Oh wait, there’s the minor problem that in the 1930s neutrons were seen turning into protons during radioactive decay… No worries, Enrico Fermi came along and proposed a new force of nature, the weak force, to explain the observation. Whilst it may sound feeble, it’s actually this force that allows the Sun to change hydrogen into helium (helium has two neutrons whilst the hydrogen nucleus is just made of a proton, so something must turn some protons into neutrons). Importantly, the weak force makes this process go slow enough for life on our planet Earth to be possible – if it was much stronger then the Sun would have long since used all its fuel. Introduction to Particle Physics Part 1: What is the world made of? Our view of the composition of the world has changed remarkably over the centuries. By the middle of the 1800s, 60 different substances called elements had been discovered, out of which the entire world was thought to be made. Each element was believed to be completely different from all the rest, though no one knew why at the time. 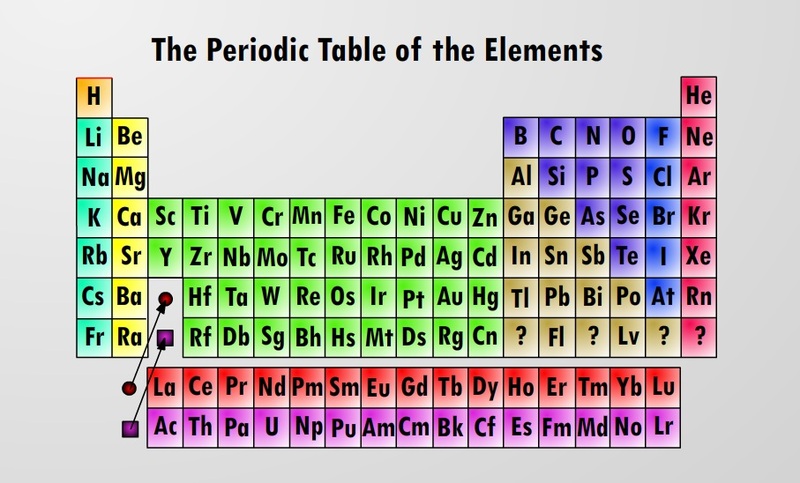 However, in the 1860s a number of brilliant scientists began to spot patterns that allowed the elements to be grouped together into a single structure – the periodic table of the elements. For the first time, we had an ordered structure hinting that there could be a common explanation behind these building blocks. In 1897, a huge breakthrough was made when JJ Thompson discovered a brand new fundamental particle – what we now call the electron. This was followed in 1911 with Ernest Rutherford’s ‘planetary model’ of the atom, with a dense positively charged nucleus (made of particles called protons) surrounded by orbiting negatively charged electrons. There was a missing ingredient though, as some atoms of the same element were observed to be heavier than others. The final piece of the puzzle came in 1932, when J. Chadwick discovered a new particle with no charge – the neutron. And with that discovery, we finally had an explanation for all the elements in the periodic table: each element has a different number of protons, and the reason they behave differently is that they have different numbers of electrons. Elements were no longer the basic building blocks; the number of fundamental particles had been reduced to just 3! The planetary model of the atom – nucleus not to scale, it’s 10,000 times smaller in real life! 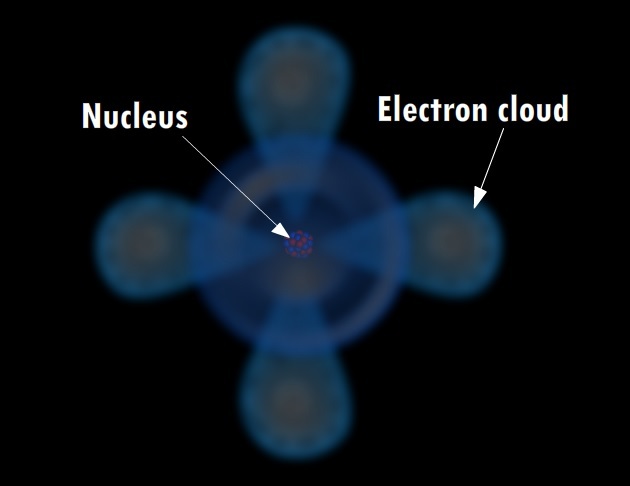 Electron clouds (orbitals) – what atoms actually look like!